McDonald’s will be piloting a new “Women in Tech” initiative through its signature education and tuition assistance program, Archways to Opportunity. 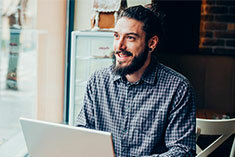 The pilot will start in the U.S. this spring and will work with Microsoft to provide the technical skills curriculum and CTU to deliver access to education. When an instructor assigns course projects, students work together to reach a common goal: achieve a passing grade. Yet, when team members do not contribute, or they communicate poorly, everyone can suffer. Try these tips when working as a team to complete an assignment. CTU celebrates 11 years of military scholarships, this year working with The Elizabeth Dole Foundation, Yellow Ribbon Fund, Inc., Guardian Angel Medical Service Dogs, Inc., and Hire Our Heroes. 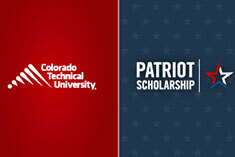 As of January 2019, CTU has awarded 550 scholarships, totaling over $11 million to wounded servicemembers and their families. A cover letter is an employer’s first introduction to who you are as a person and an employee. Use the letter to your advantage and show why you’re the most qualified candidate for the job. Consider the following cover letter and resume development tips. Library Tip: What Are Peer-Reviewed Articles? 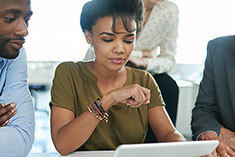 As a college student conducting research for discussion boards, presentations, and papers, you should know what these articles are or how to locate them in the CTU online library. Here are a few pointers for new and returning CTU students on identifying peer-reviewed articles in the CTU Library. Taking care of yourself while going to school and working might be challenging. However, it's been found that expressing your gratitude and focusing on the positive can reduce your stress, improve your sleep, strengthen your immune system, and lower your blood pressure. Try the following steps to shift your focus and help lift your spirits! 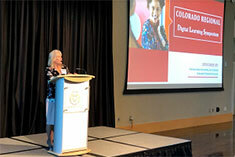 CTU co-hosts regional symposium with Colorado State University (CSU), bringing together academic leaders, curriculum designers and faculty to discuss digital learning in online and blended classes. CTU Provost and Chief Academic Officer Dr. Connie Johnson shared opening and closing remarks with CSU Provost and Executive Vice President Dr. Rick Miranda. CTU received a 2018 WCET Outstanding Work (WOW) Award for the CTU Faculty App – an instructor-based mobile application. The CTU Faculty App enables instructors to better access their courses and helps improve the overall student experience. This is Colorado Technical University's third WOW Award since 2014. Are you guilty of procrastinating on a class assignment or work project? It can make it more difficult to delay the inevitable, but sometimes it may actually be helpful to procrastinate and even boost your creativity! Learn how you can make the most of your time and procrastinate in a productive way.